Bring home a friend to adore, or make an impressive statement in your bedroom. 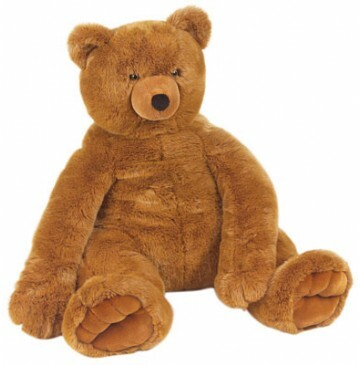 These soft, cuddly, premium quality plush animals have beautiful features. Cute expressions and are incredibly priced. So many to choose from including a giant giraffe, three lovable Labs, a delightful Dalmatian, and impressive elephant, plus a frog, elephant, lion, and more! The soft, lovable textures and remarkable prices make these animals friends perfect for play or display. Check out our new giant plush critters, they are "big fun" at its best. These super soft giants will impress any child and provide years of fond memories! Dimensions: 30" X 30" x 27"